One after another, aged Nazis are being murdered in Europe, South America, and the United States. Enter FBI Special Agent Taz Fallon, who soon discovers the killings aren't the work of a vigilante bent on revenge for the Holocaust. Instead, they turn out to be part of an elaborate plot to put a new generation of Nazis into power. And the key to the entire scheme is a huge cache of paintings looted by Hitler from Jewish families during the Second World War. 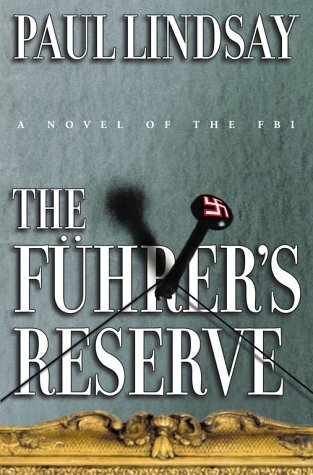 In The Führer's Reserve, Paul Lindsay weaves a tale of high stakes art smuggling, vicious homicides, and brilliant investigative prowess. Are Hitler's stolen masterpieces really hidden somewhere in Illinois?Could a secret Nazi sympathizer, known only as der Kurator, actually sell these works of art to finance a new Fascist movement? Can agent Taz Fallon, working with a beautiful young art historian, risk destroying Rembrandts, Titians, Vermeers, and countless other treasures to stop a Nazi coup?With a storyline as authentic as today's headlines, Lindsay -- a former, highly decorated FBI agent himself -- provides page-turning thrills and captivating insights into the way real world sleuths solve unimaginable crimes.It's no wonder that USA Today has written of Paul Lindsay, "Step aside, John Grisham!"